I have been intrigued with Dirk Pitt from the very first book, Pacific Vortex!, and this sixth installment hasn't changed that. In this book we see Dirk Pitt searching for the North American Treaty, now I do feel like as the series went on that it isn't really centered on Dirk Pitt any longer. 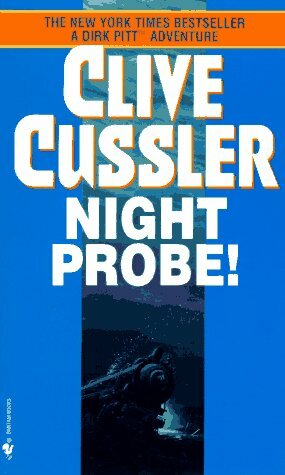 As it switches from one view point to another I felt like I kind of lost the Dirk Pitt I loved in the very first book. This one seemed more centered on the Treaty, which didn't make for a bad read, I liked the book immensity, to me Clive Cussler books is like history book, except they are interesting, exciting and I want to read them. I did find that this book had kind of a dry humor to it, like with "baby", thoes of you have read this one know what I'm talking about. All together I did love the book and if Dirk had more of a staring role I feel it would have got a higher rating but he didn't really seem a main focus to me. I look forward to the next book, Deep Six, maybe this one we will read more of Dirk's point of view.